Hyde Park, NY – Basque cuisine hits the big screen at The Culinary Institute of America in October. 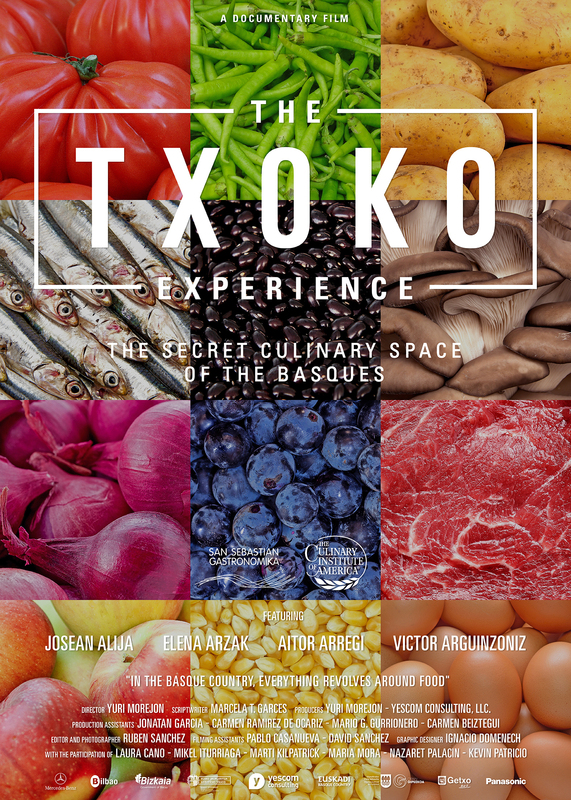 The Txoko Experience: The Secret Culinary Space of the Basques is the first English-language documentary film about the food, chefs, and ingredients of the Basque region of northern Spain. The film makes its American premiere on Wednesday, October 18 at 7 p.m. at the Marriott Pavilion on the CIA’s Hyde Park, NY campus. The screening is open to the public and admission is free. The film will be introduced by Basque chef Joseba Encabo, an associate professor of culinary arts at the CIA, and will be followed by a question-and-answer session with director Yuri Morejon and scriptwriter Marcela T. Garces. The Basque Country is home to unique gastronomic societies, its own brand of avant-garde cuisine, and food products renowned for being fresh and local. Several prominent chefs appear in the film to speak about their Basque heritage and its influence on their cooking, including Elena Arzak (2012 Best Female Chef in the World), Victor Arguinzoniz (whose restaurant is ranked #6 in the world), Josean Alija (head chef, Nerua Guggenheim Bilbao), and Aitor Arregi (Michelin-star chef famous for grilled fish). Txoko, pronounced “cho-ko,” is the Basque word for the gastronomic societies and private dining clubs common to the region. The screening of The Txoko Experience at the CIA comes just one week after its world premiere at the San Sebastian Gastronomika culinary festival in San Sebastian, Spain. The documentary film The Txoko Experience has its United States premiere at The Culinary Institute of America in Hyde Park, NY on October 18, 2017. The public is invited and admission is free.